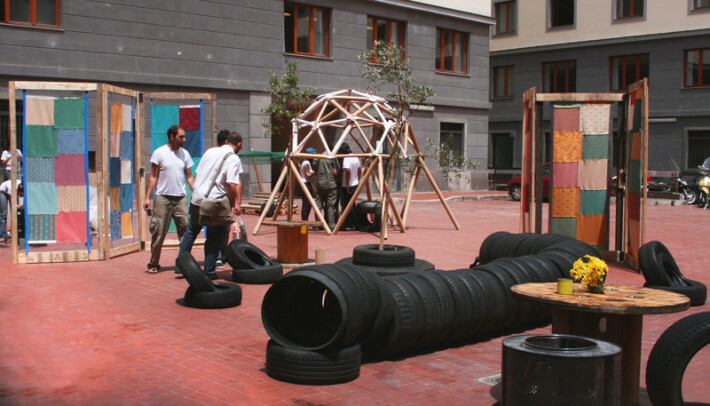 As part of Rifiu.ti.AMO project Archintorno structured the workshop Let’s Sit Down and Talk to demonstrate how architecture can actively participate in changing the way we use waste. The workshop proposed using a conscious attitude and practical solutions for the appropriate use of resources. A design process was used to help participants understand a cycle of creation and re-creation by using industrial disposal materials as resources. 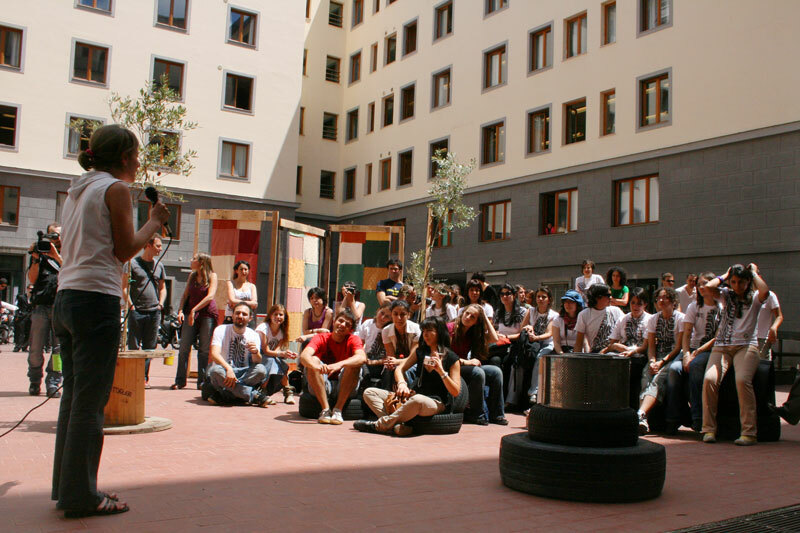 With the expertise of international studies by Husly (Norway), Millegomme (Netherlands) and Basurama (Spain), we rethought the courtyard space at the Faculty of Architecture of Naples, studied its potential and created urban furniture from reused materials.